Our “Mother Nature” gifts for new or soon-to-be new moms focuses on fresh fruits and snacks that are specifically selected because they contain many vitamins and minerals essential for good nutrition for mom. Manhattan Fruitier has developed a line of New Moms and Moms to Be gifts to add to our existing collection of gifts for New Baby and Family. Women need more of certain vitamins and minerals during pregnancy and lactation, such as folate, iron, Vitamin A, E, C, B2, B3, B6, potassium and zinc. 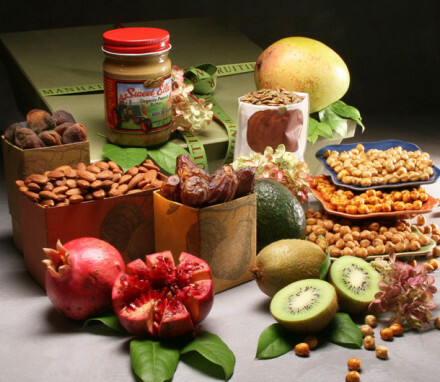 Our “Mother Nature” collection features gifts for expecting and nursing mothers with fresh fruit such as mango, avocado, pomegranate, kiwi and dried fruit and/or nuts such as dried organic apricots and medjool dates and dry-roasted unsalted almonds. 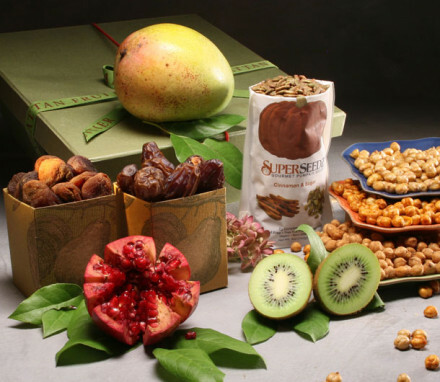 These fresh and dried fruits and nuts are specifically selected because they contain many of the vitamins and minerals essential for good nutrition for Moms-to-be and new Moms. Expectant and nursing mothers also need protein for energy and having it in an easy snack form makes it all the more practical. 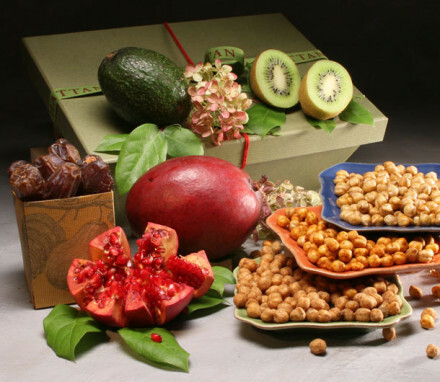 Some high protein items featured in this series of gifts are: crunchy roasted chickpeas, organic peanute butter, and cinnamon and sugar sunflower seeds. Offered in three sizes endearingly named: Mother’s Little Helper, Sophisticated Mama, and Mamma Mia, all are good gifts for pregnant women and nursing mothers. Consider adding one or more of our adorable baby items such as a super soft stuffed Teddy Bear or hand-crocheted baby booties. What could be nicer than sending a gift for both Mom and baby? Please see below for our complete selection of new baby gifts. * Fruit is a health promoting whole food that is often used for special dietary purposes. However, our gifts are not designed to meet individual health needs or to treat, cure or prevent any disease or condition. We are not qualified to give medical advice, so if you have any questions about what you are eating, please consult with a medical professional.